Anniversary Dinner for Two or Four. 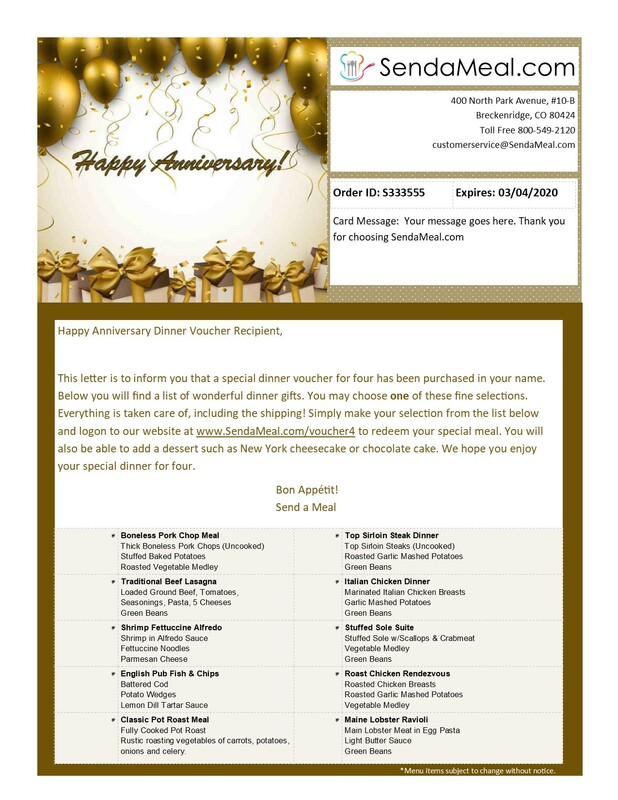 What a wonderful way to celebrate an anniversary with great gourmet cuisine in the comfort of home. Your gift recipient will receive an elegant voucher and a list of dinner menus to choose from. Click Here To View Voucher.